HUNTINGTON, W.Va. – For the third time in as many years, PBR’s (Professional Bull Riders) Pendleton Whisky Velocity Tour (PWVT) will buck into Huntington, West Virginia and Big Sandy Superstore Arena for the two-day Huntington Classic on October 4-5. 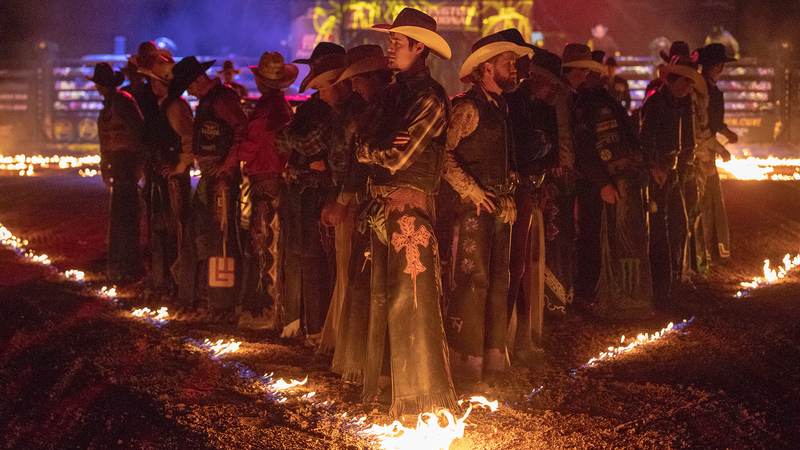 For two nights only, some of the best bull riders in the world will battle the sport’s rankest bovine athletes in the ultimate showdown of man vs. beast. As one of the most exciting live sporting events to witness, the fearless riders of the PBR are eager to bring the only sport that pits a lightweight against a heavyweight in epic 8-second confrontations back to Huntington. Last season, young gun Cannon Cravens (Porum, Oklahoma) captured the event win in Huntington, going a flawless 3-for-3 inside Big Sandy Superstore Arena at the end of September. As one of two riders to cover all three of his draws, the 18-year-old first rode Get Smoked (Phenom/JCL/Swalin/Goods Bucking Bulls/Sankey Pro Rodeo) for 86.5 points in Round 1. The Oklahoman then caught fire. Winning both Round 2 and the championship round, courtesy of an 86.5-point ride on Dirty Dan (TCB Ranch/K-C Bucking Bulls) and 88.5-point ride on Tractor Tippin (Barker/Barnett #2), respectively, Cravens was propelled to the first PBR event win of his career. Courtesy of the victory, Cravens made his debut on the elite PBR Unleash The Beast the next weekend where he finished second in Greensboro, North Carolina. Prior to the most recent stop, the PWVT made its debut in the city in December 2017 when Dener Barbosa (Paulo de Faria, Brazil) won the event in similar fashion as one of two riders to go a perfect 3-for-3. The bull riding action begins at 8:00 p.m. ET on Friday, October 4, and at 7:00 p.m. ET on Saturday, October 5 at Big Sandy Superstore Arena. All riders will attempt one bull each in Round 1 on Friday night and Round 2 on Saturday night. The Top 10 will then advance to the championship round where they will attempt one final bull, all in an effort to be crowned the event champion, earning 170 world points and their portion of the $20,000 purse. Additionally, the Huntington Classic event winner will also earn an invite to compete on the elite PBR Unleash The Beast. Tickets for the two-day event go on sale Friday, March 22 at 10:00 a.m. ET, starting at $15. They can be purchased at the Big Sandy Superstore Arena Box Office, online at Ticketmaster.com, and by phone at 1-800-745-3000. Huntington will be the 28th stop on the 2019 Pendleton Whisky Velocity Tour which spans the country in cities including Ontario, California; Denver, Colorado; Toledo, Ohio; Knoxville, Tennessee; Worcester, Massachusetts; and Corpus Christi, Texas. As one of the final stops of the 2019 season, the event will play a crucial role in the race to be crowned both the 2019 PBR Pendleton Whisky Velocity Tour Champion and 2019 PBR World Champion.